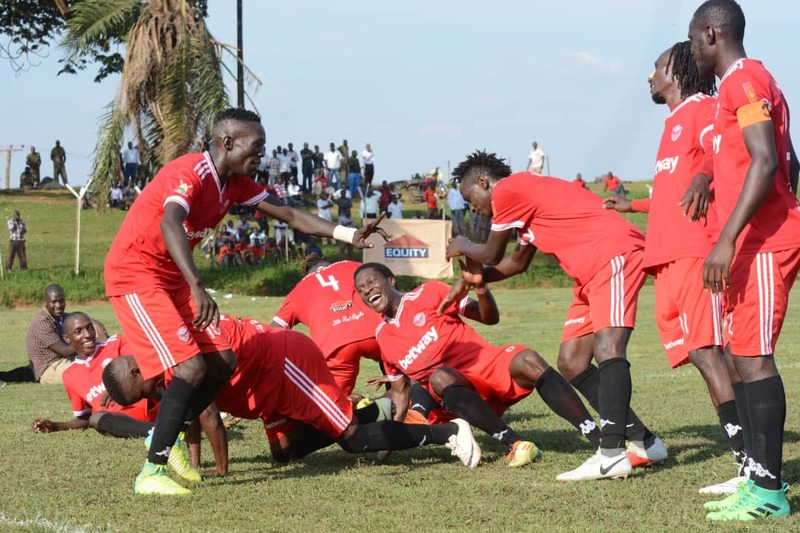 LUZIRA – Express FC relinquished a 1-0 lead to draw away to Maroons in the StarTimes Uganda Premier League on Thursday afternoon. Tony Odur gave Express the lead at the stroke of halftime before Ronald Orombi’s second half strike ensured both sides share the spoils on a chilly afternoon in Luzira. This was Orombi’s second goal for Maroons this season after scoring his first in the 3-2 win over Ndejje almost a week ago. In a game that had few scoring chances for either side, it was Odur who broke the deadlock shortly before the interval. The striker who returned to the team after missing in action in the 2-1 win against Nyamityobora FC tapped into an empty net after Badru Nsubuga has seen his initial effort rattle the cross bar. At the start of the second half, Maroons went all out in search for an equalizer introducing Akena Pius for Herman Wasswa while Ivan Wani later replaced Rashid Agau. Orombi scored the equaliser in the 74th minute when Brian Majwega’s free kick after a foul of Seif Batte, was initially saved by goalkeeper Ronald Mutebi but the robust midfielder was quick to tap home the rebound. The result means Express FC move two slots up on the table to 7th place on 20 points while Maroons FC improve by one place from 13th to 12th on 14 points. In the other day’s game, bottom side-Paidah Black Angels held Nyamityobora to a 0-0 draw at Kakyeka Stadium. The points shared mean that both sides remain unmoved in the standings with Nyamityobora 14th on 9 points while Paidah are still rooted on 6points.